I’ve never stopped to look at cars in shopping centres. I’m not there to buy cars. But introduce a 13 year old male into the experience and a sleek looking Tesla on display, with an open invitation to sit and push buttons, and suddenly I’m looking at a car in a shopping centre. 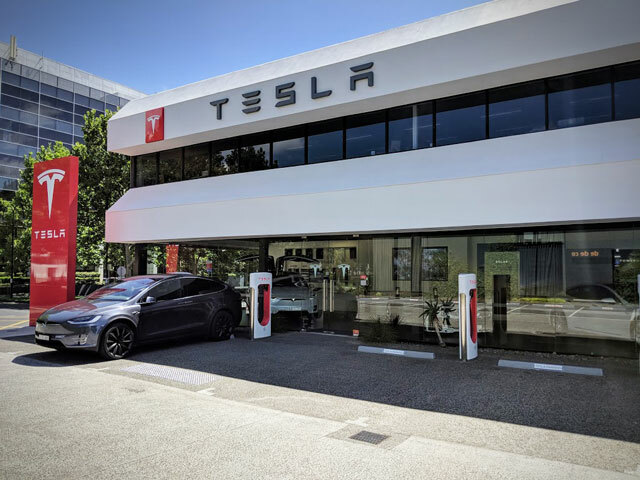 Our son loves science and knowing how things work, and also loves sharing his love of knowledge with anyone who will listen, so when the chance came to discuss electric cars with the Tesla rep, he had found a kindred spirit. And there it was. Not only had I looked at a car in a shopping centre, I was now signing up for a test drive. And so the day arrived, and the anticipation which son (and father) had could not be denied. We were all booked in to test drive the Model X with the winged doors, ‘Ludicrous’ acceleration option ( yes it’s true – we might have tested it just a little) and fully decked out stereo with 17 speakers. Chris, the sales rep knew that we were there for our son’s experience, and not looking to buy, but he greeted us with a cheer and happily walked us through the details, along with providing all the tech details to keep our son contentedly amused. And when it was over, we left. There were no hard sales spiels or business cards or brochures shoved into our hands. Just the opportunity to sign up and keep up to date with all things Tesla – and we did. There now exists in our son’s hardwiring a little Tesla (apparently it’s Tess-la, not tez-la) button, which when pushed will recall the joy and wonder of that 13 year old boy who had a small dream come true on an ordinary day in Melbourne. In 5 – 10 years time, when our son is driving, and the market is awash with electronic cars (self driving or not), I’m pretty sure I know which badge our son wants to be behind. Well done Tess-la, on so many levels. And thanks for the ride. Prev Article Where has the 'View Image' button gone from Google Image Search?